I never expected any of it. A few years ago, a few people asked me on a Facebook group to tell them about a Kerouac gathering I was at back in 1982, and my response to the question became a book . . . in eleven days, it took. 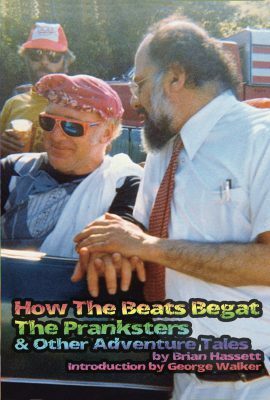 A couple years later, original Merry Prankster George Walker and myself were batting around the idea of how the Beats begat the Pranksters, and it suddenly struck me, “This is a book — Do it as such” . . . and two weeks later we had the book for sale. 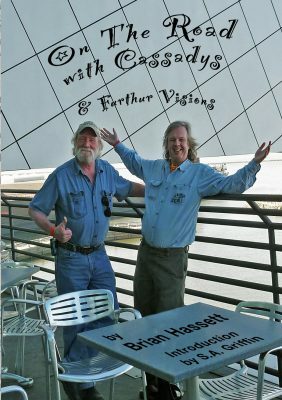 This past March, John Allen Cassady & I were talkin about doing some shows together — bringing his dad and Uncle Jack to life on stage — and suddenly it struck me I should write that book he and I joked about writing decades ago . . . and five months later to the day, I was proofing the first copy. And for me, not one of them were planned. I had three accidents. In a row. All unexpected. Not a single one had been in my mind the day before the birthing process began. No “Great American Novel” contemplated. No writing workshops or Go Fund Me’s. Just a handful of Go Write Me’s. And Bob’s your Hope — there they were — a stained glass triptych staring me in the face. Yes, yes — a trilogy! Three connected books that all stand on their own as separate works, or can be experienced as an interconnected whole. Yes! Three books that have characters in common through multiple stories. Yes! Three books that are created around the same time, and especially if in sequence. Yes! Three books that are created with the same motivation, and done in the same style. Yes! The Hitchhiker’s Guide to the Galaxy! Lord of the Rings! The Nova Trilogy! Oedipus! Snopes! Good company! You can get this one … . … here. Or this one ….. …… here. Or this one….. ….. here. 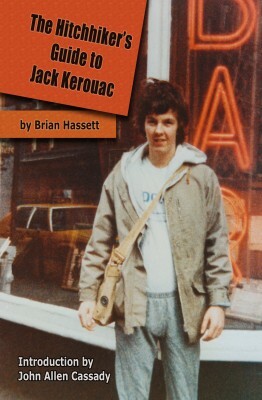 Here’s what a bunch of people thought of The Hitchhiker’s Guide to Jack Kerouac. Here’s what a bunch of other people including original Merry Pranksters and Beats thought of The Hitchhiker’s Guide. Here’s a wee excerpt from the new On The Road with Cassadys book. Here’s an excerpt from The Hitchhiker’s Guide to Jack Kerouac. Here’s an excerpt from How The Beats Begat The Pranksters. Here’s a bunch of recent interviews and press and stuff. 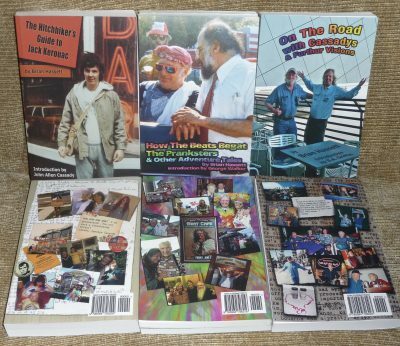 Here’s a ton of different live videos performing these various books and such. Thanks for all the sculpting of the artwork, Michelangean David! It’s nice to see the triptych of the trilogy all in one place! I Love all of this!!!!! Wow, good on you! Amazing. Good for you, Brian! Wish John Happy Birthday for me. Congratulations! There are very few people in the world who know as much about both The Beats and The Pranksters as you do, Brian. And we should know because we meet everybody!